On Saturday August 13, I visited the ASCF (Asian Student Christian Foundation) projects at Payatas, the Cashew Tree pre school, Mango House and Papaya Academy and the Payatas rubbish dump site, that according to the national government does not exist! I seen hundreds of people of all ages working, sorting and living in what can only be descried as extremely pour conditions. 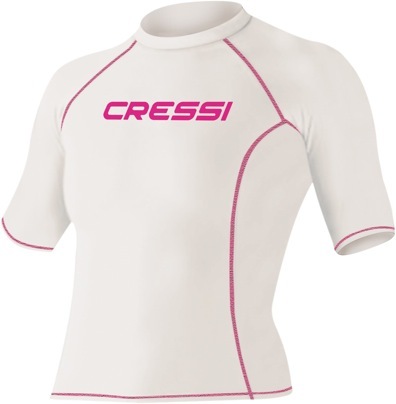 We are please to let you know we just in time for the summer have received the NEW long sleeved Rash Guard from Cressi. Same designed as the short sleeve we already have but with the long sleeves to give even more warmth and protection. Protection from the sun while on the beach or on the boat. Also great to wear under your wetsuit while diving or on a really warm day just wear as it is. 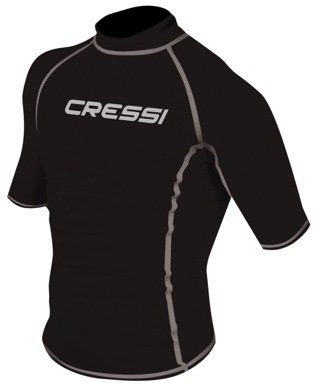 Cressi Rash Guard the male version. Jos Van de Giesen has had a great weekend here with his son, Bart and girlfriend, Jzene. Discovering scuba again, all three got to do some diving together along with Pete and Christopher Tong. It should also be noted that Jos did a sneaky note on the board on his last dive with Alli that said “#400”. 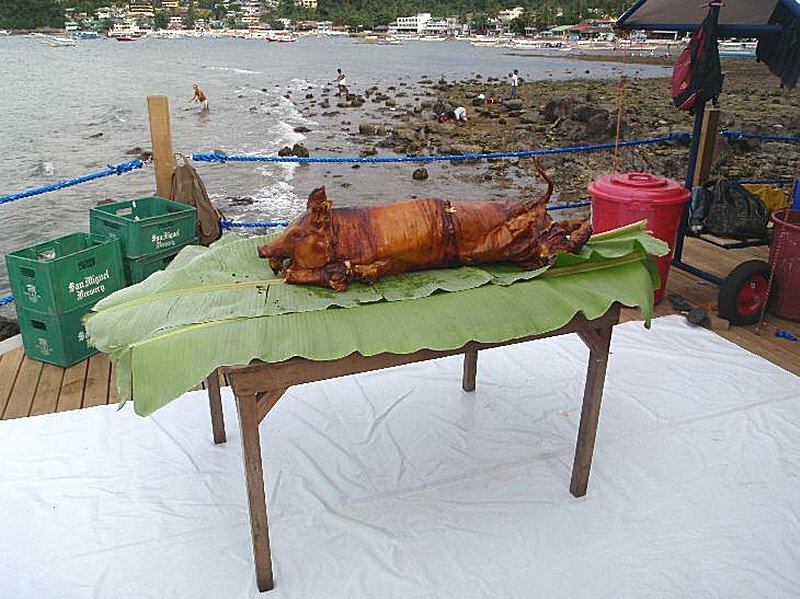 Looks like there will be a celebration next time he is here! Jerry O’Shea advanced though his Advanced course with Pete so quickly that he had to fill some more time doing his Nitrox course as well. Jerry did his theory on-line and came down here to complete the dives. E-Learning is the way to go! A night of celebrating in the Point for Norbert and Birgit Andreya, Tina Lockie, Andrea Hensel and Rainer Kleenner because Andrea earned a 500 Dive Club T-shirt. Congratulations! Congrats to Jenny Fisher, who snuck in a quick Nitrox course before starting the IDC. Christopher Tong hasn’t been diving in a while but came down with some diver friends and got right back into the swing of things with a review, a Nitrox course and of course, some great diving. Free Raffle to win 3 nights at El Galleon. I have to confess that I have fouled up. Allan Nash who has donated the 3 nights free stay at El Galleon is away and therefore unable to draw the raffle. I shall contact Allan Nash and as soon as I know a date when he can draw the raffle in public so everyone knows it is fair, I will send notification to everyone. Sorry about this but Allan Nash is due back on the 25th. so we won’t need to wait too long. It’s been a howling All-Saints Day long weekend here with lots of Manila regulars around, plus groups from the U.S. and Germany. The Halloween party at the Point was filled with the usual sorts of spooky characters and very bewitching staff members. Face painting was once again was a big hit for the many kids and even the bigger kids too. Thanks to everyone who came along and got into the spirit of things. Asia Divers had another fantastic trip aboard the Manthiri Live-aboard boat with Moosa as out host again. It was six days of cruising in the sunshine with manta filled waters, excellent food and service, and great friends to share it with. The big excitement for this time of year was the chance to see the manta aggregation…and we weren’t disappointed. Imagine being surrounded by so many mantas that you can’t see the water! Alli is still smiling about it. Thanks to Stephanie Scawen, Sheila Cooke, Veronique Ficheux, Ali Philipot, O and Debbie Leenutaphong, Elaine Kunkle, Gladys Yao, Scott and Jodi Milliken, and Judy Banning for joining this trip. 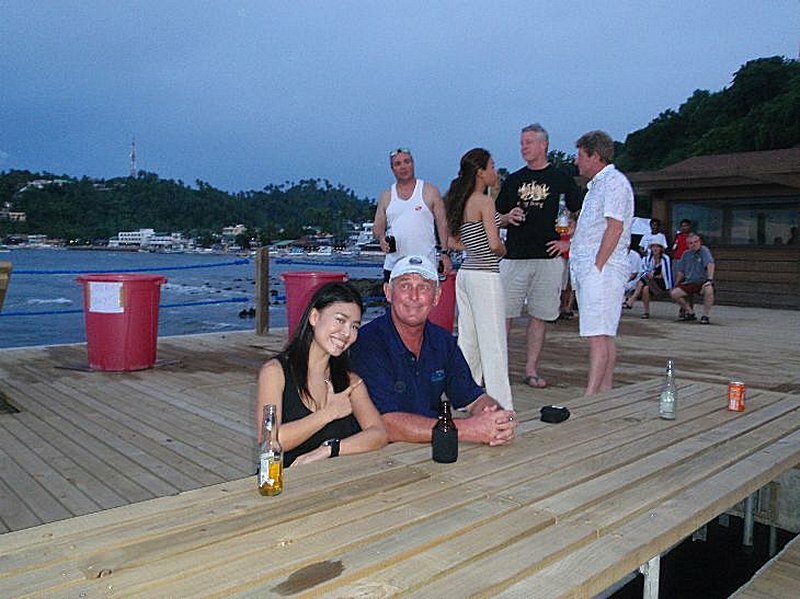 Hello and welcome to the new El Galleon and Asia Divers Blog. In recent months there have been some major changes going on, both to our resort and to our web site. The changes to our Web site have been extensive and this Blog has been introduced to help keep you informed of special offers and deals you can enjoy. We are launching the blog with a free draw to win 3 nights accommodation at El Galleon. To enter the draw simply add this feed to your e-mail program http://blog.asiadivers.com/feed/ and send an e-mail to blog@asiadivers.com The winner will be picked at random and the results published here on November 15th. September saw the completion of our new pier and dive storage. This was a major undertaking and took many months of construction. The decking itself has been made to perform a dual purpose. 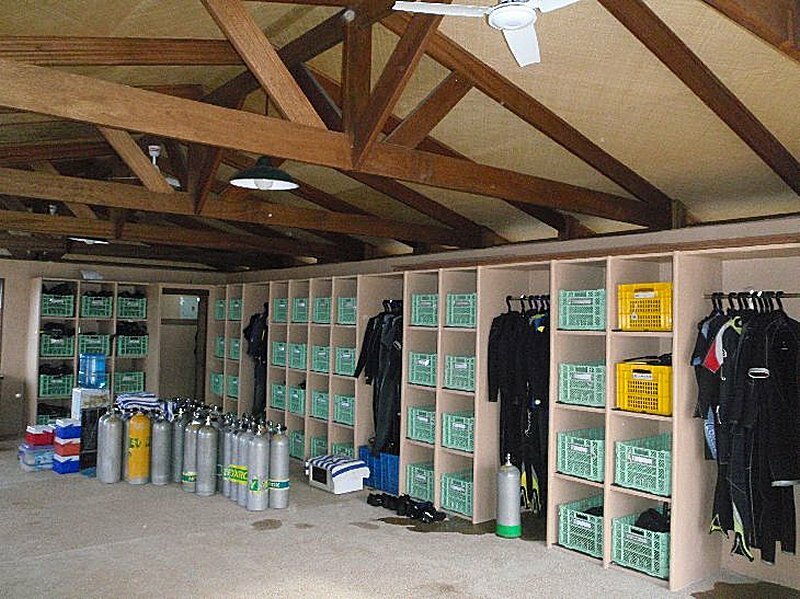 By day the pier functions as a dive station with storage for 100 peoples clothes and accessories in the dive store, whilst on the outside deck there are wash tanks for wet suits and gear, mobile racks to dry wet suits and a a filling station for dive tanks. Although tanks can now be charged on the pier, the compressor with it’s attendant noise is where it has always been, back on the shore. 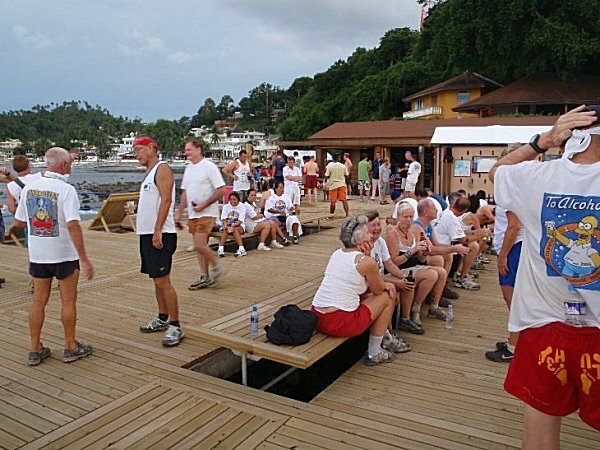 The first hint as to the full function of the pier decking comes when you see that along the edge of the pier, sections can be lifted to provide sun loungers, where you can relax and soak up the sun. Closer inspection shows that entire sections of the pier can be raised to create tables. Indeed, when all tabes are raised from the decking there is seating for approximately 90 people. We shall be hosting themed dinners approximately once a month as an excuse to party. We shall be doing our very best to see that we now proide you with all the latest information on current and coming events at the El Galleon resort as well as updating you with the fun things happening here.